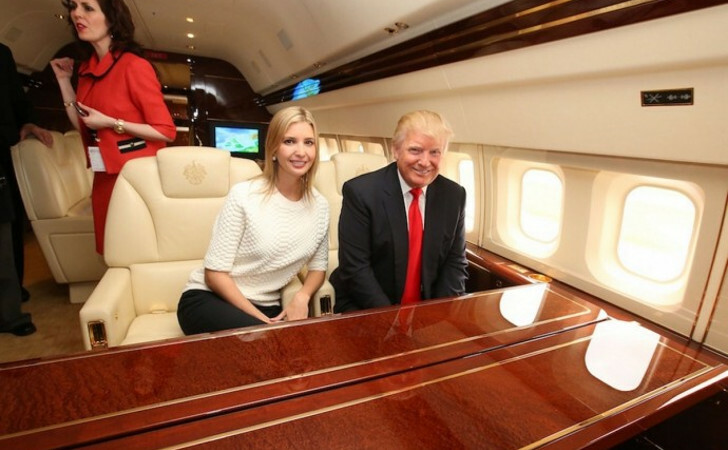 This is not the kind of guy to just have a private jet that can hold maybe 10 to 15 people. 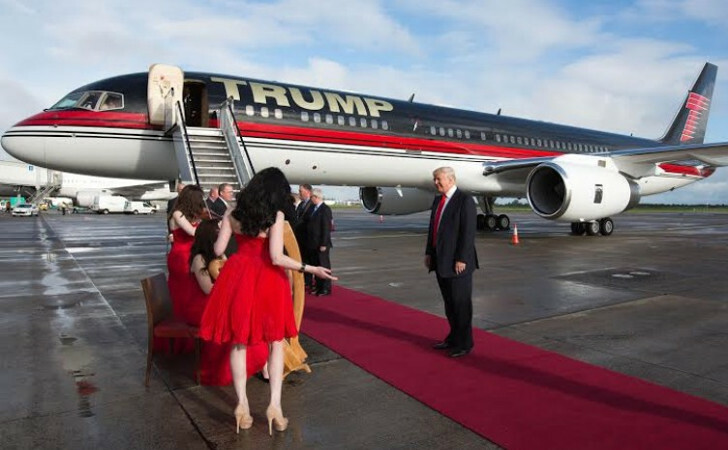 Trump has his own Boeing 757. 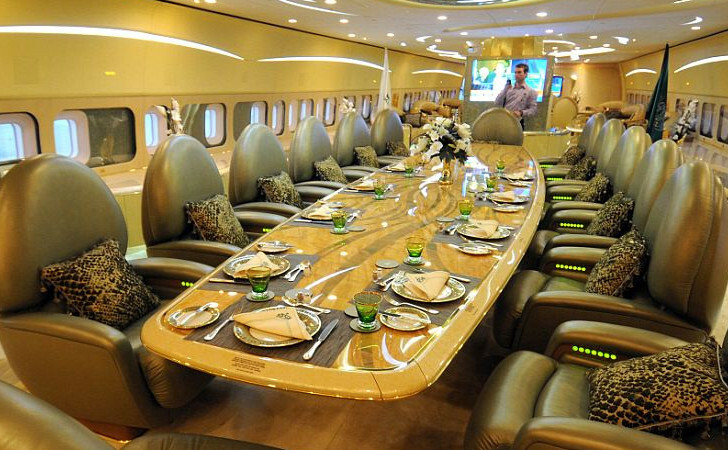 The kind of plane Boeing makes for airlines that fly hundreds of people. 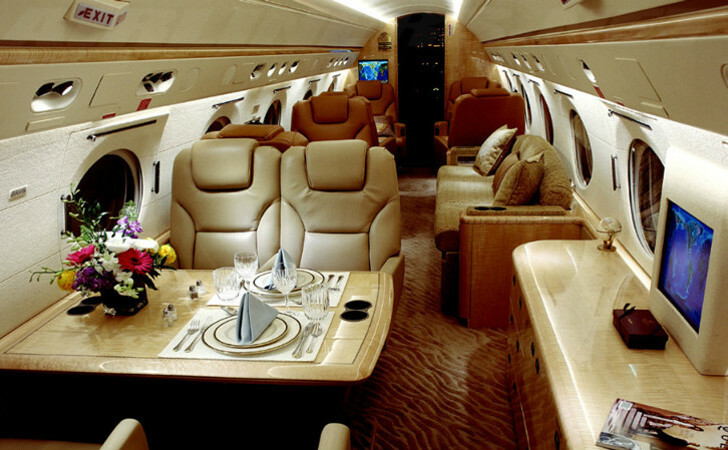 This is a completely decked out jet. 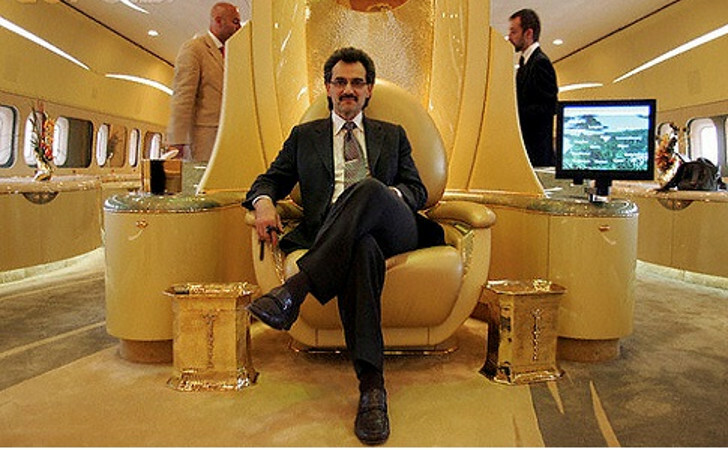 It has huge marble bathrooms, more than one bedroom, and gold everywhere for a $95 million value. John is a little bit different from everyone else on the list. He actually owns several jets and he’s also a certified pilot who can fly them all. 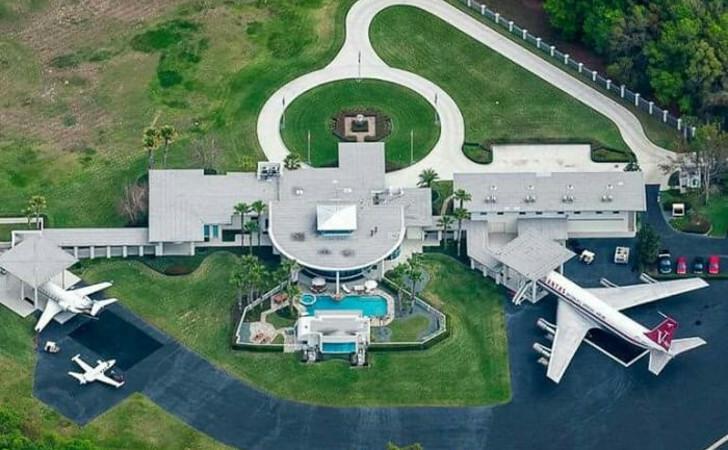 His huge home looks more like a jet camp. He has a small one for fun, a slightly bigger one for family trips, and a massive Boeing 707 for quick trips to the grocery store. He lives in an awesome community that shares a private airport just for its residents. 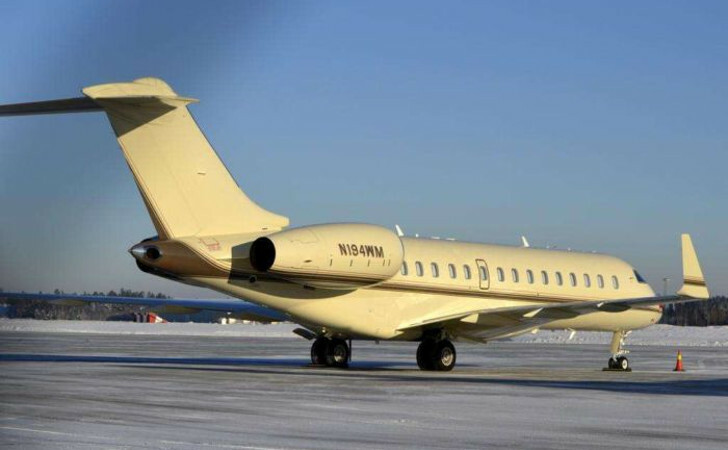 With an estimated net worth over $80 billion, Bill chose the Bombardier BD-700 Global Express as his flying unit. 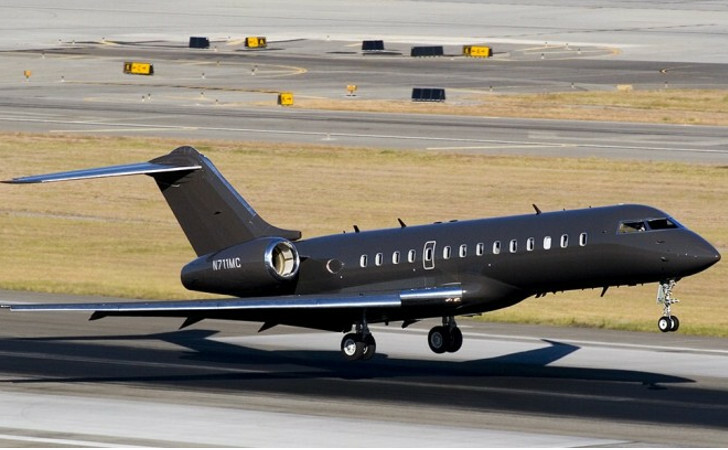 It can fly just about anywhere without a stop and it’s worth more than most rich people even have. It’s not the biggest jet on the list. But, it’s very cozy. Kind of puts me in the mind of the one on Criminal Minds that the team flies across country. 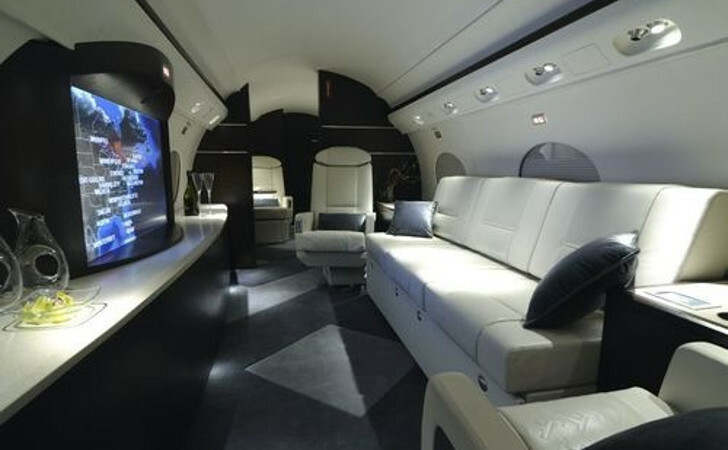 Celine has one slick private jet. She also has her own private island. With an estimated net worth of almost $400 million, she could just about have anything she wanted. 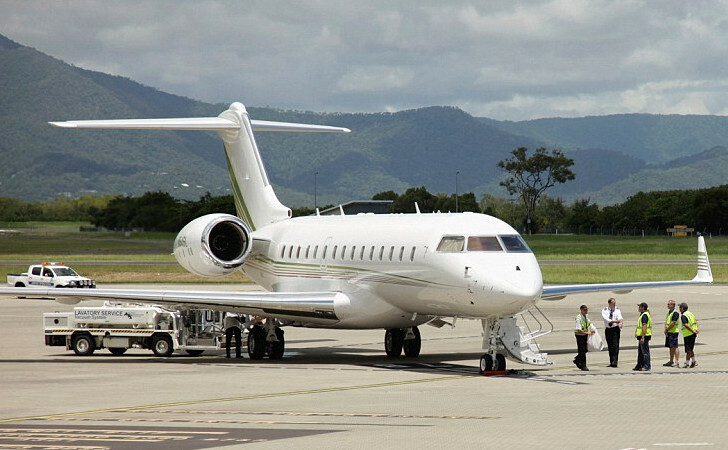 Having a Global Express XRS makes it easier to fly to any one of your mansions around the world. It also makes it easier getting to your private island. That is unless you wanted to take a boat, which I’m sure she also has. 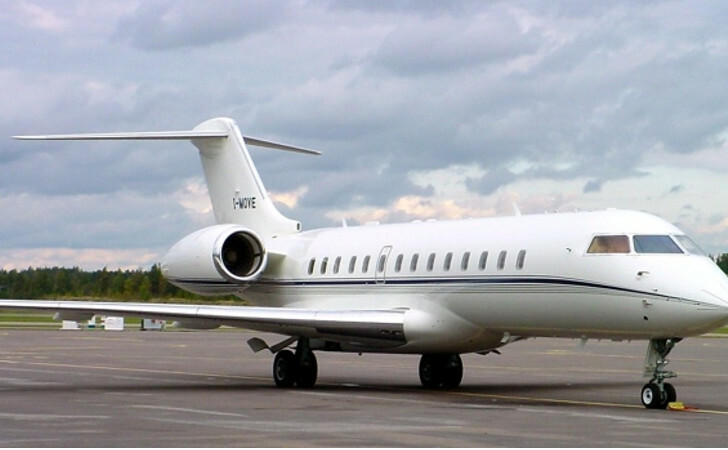 Oprah also owns a Global Express XRS as other famous people on this list do. Hers is estimated at about $50 million, which we can all agree she probably paid with change she found in her sofa cushions. 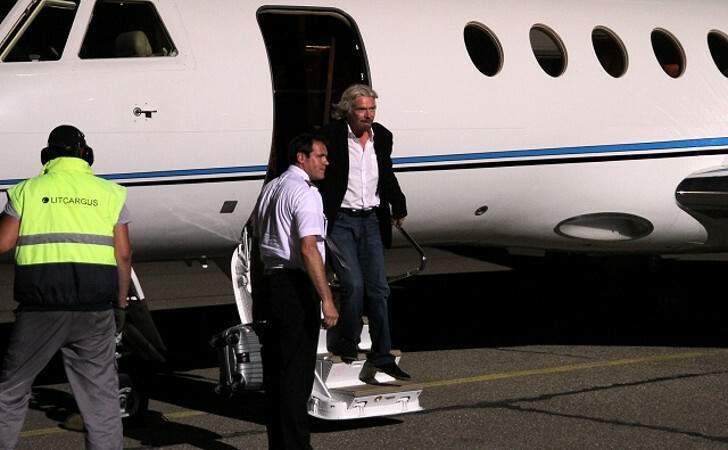 It makes life easier when you can just jump in your plane and be anywhere throughout the world in a matter of minutes. With a life like Oprah’s, you can certainly see how that would be an advantage. This couple is absolutely phenomenal. 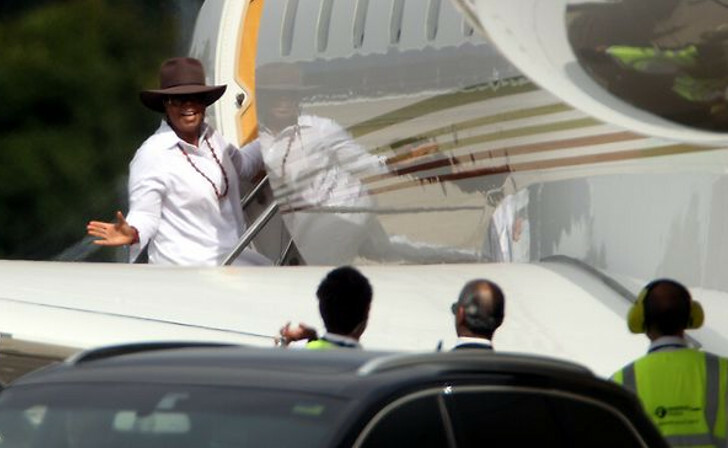 Not only is Beyonce gorgeous, but she gave Jay-Z his own custom built private jet for father’s day. It’s an amazing Bambardier Challenger 850 with a full kitchen and of course, it has a bedroom. 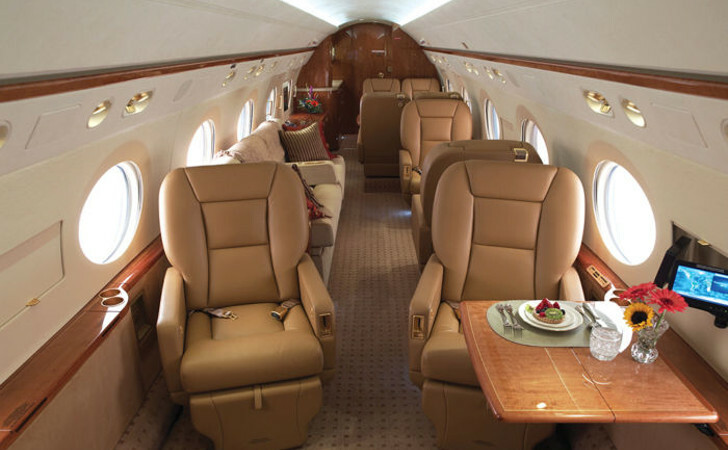 But, it can also sit friends and family comfortably if they want to jet around the world with a squad. 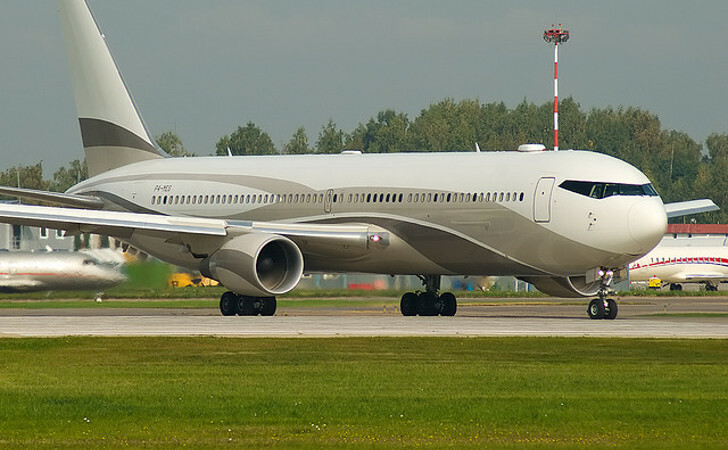 Roman’s Boeing 767 Jumbo Jet is another extravagant flying unit that is on the level with The Donald. 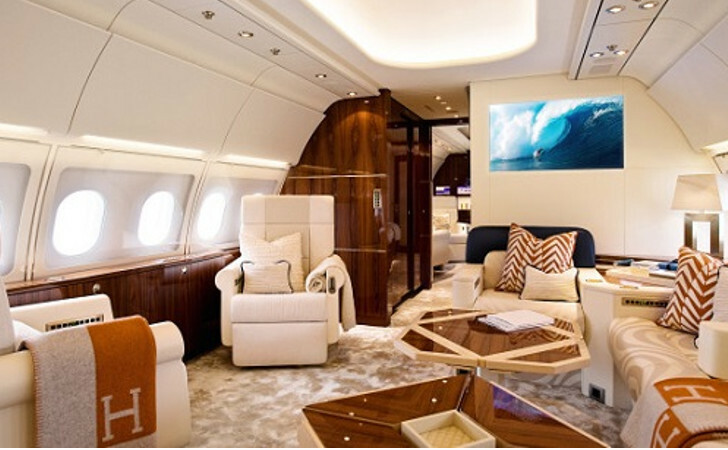 The ninth richest man in Russia sports several yachts and cars as well as even more jets. 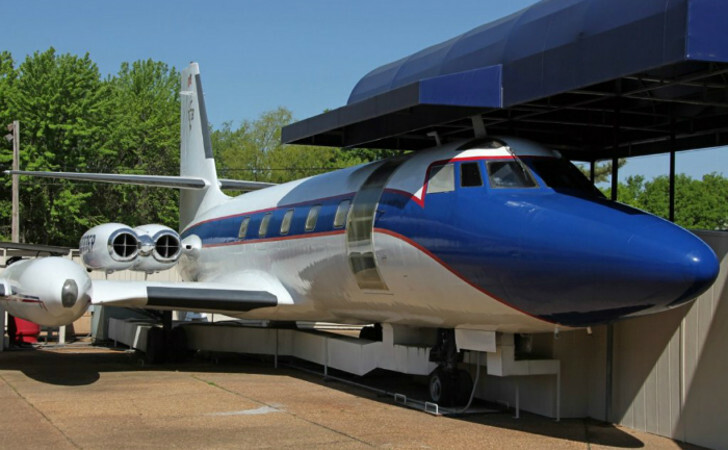 But, this one called “The Bandit” makes the list because it’s practically a commercial airliner. This sky pig is decked out to no end. Multiple bedrooms and bathrooms like a condo in the sky, it also has missile avoidance technology much like what Air Force One has. 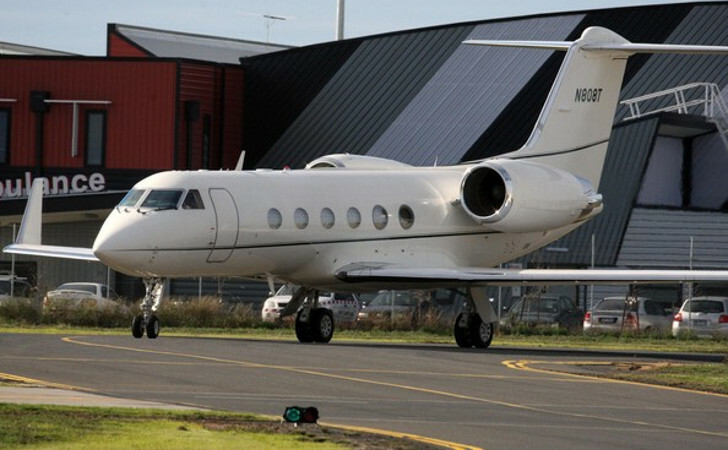 When you have to jet all around the world to make great movies, it’s probably a lot easier to have a private jet to do it in. That’s the thinking behind Steven Spielberg purchasing a Global Express XRS and a Dassault Falcon 7x. Because you need two. When you have two awesome jets, you just toss a coin. Otherwise, one gets neglected and then it catches an attitude. 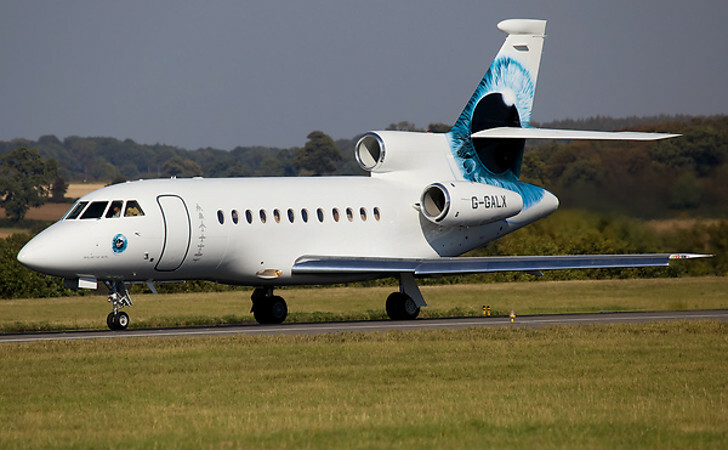 No one likes to deal with a jet that has an attitude. If you look closely, this is one of the smaller jets on the list. Five windows gives that away. But, Tyler makes the list and that’s all that matters. 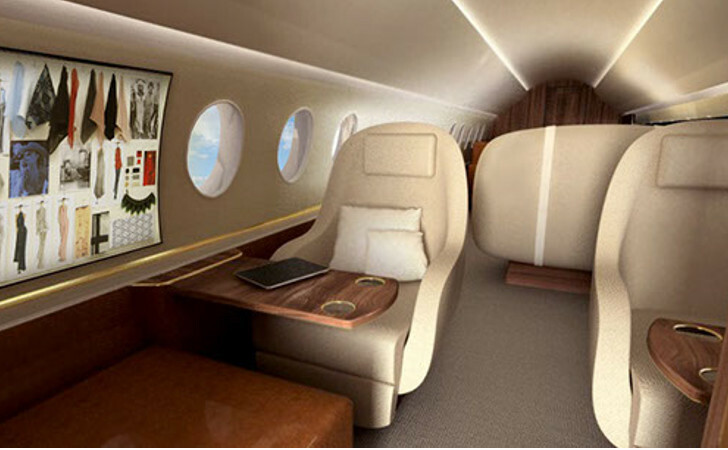 But, this is the lap of luxury especially since it cost more than most other jets on the list plus Tyler dropped additional millions to completely modify it. Flying in it at night looks like a scene from Star Wars. Jim Carrey has come a long way from the day he had a dream and wrote himself a check he believed he would one day be able to cash. Now, he has his own jet. Not too shabby. 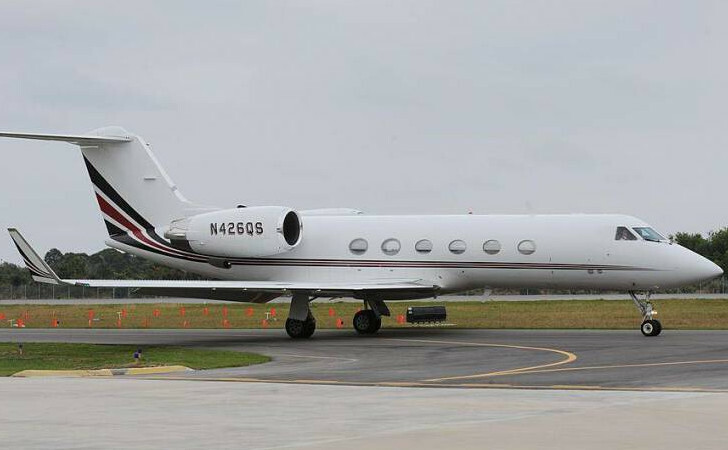 Now, he jets around in his Gulfstream V. He can take people with him or just sit in the lap of luxury by himself. Something tells me he has a hard time doing that. 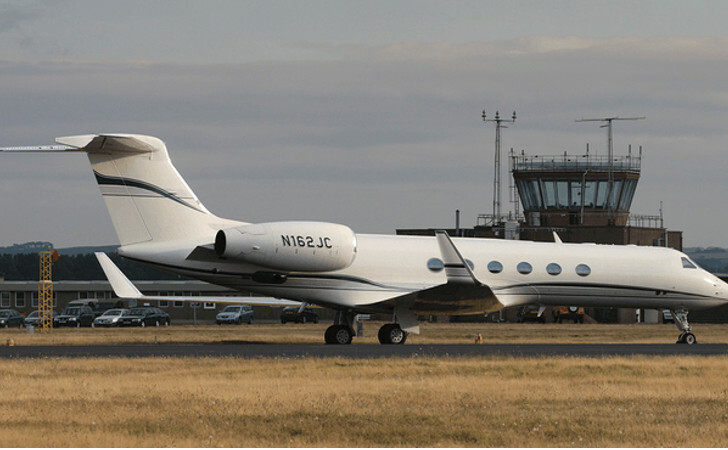 This Gulfstream was actually given to Steve Jobs by Apple when he became their CEO. The thing about that is that he could buy one himself at that point if he wanted. This jet went through an interesting change of hands. Laurine Powell inherited it when Steve passed away. Then, she sold it to an Apple executive who is probably in his glory that he owns the Steve Jobs jet. Angelina comes onto the list as an interesting entry. She doesn’t quite have the jet that other famous people on the list have. She has a single prop plane known as the Cirrus SR22. 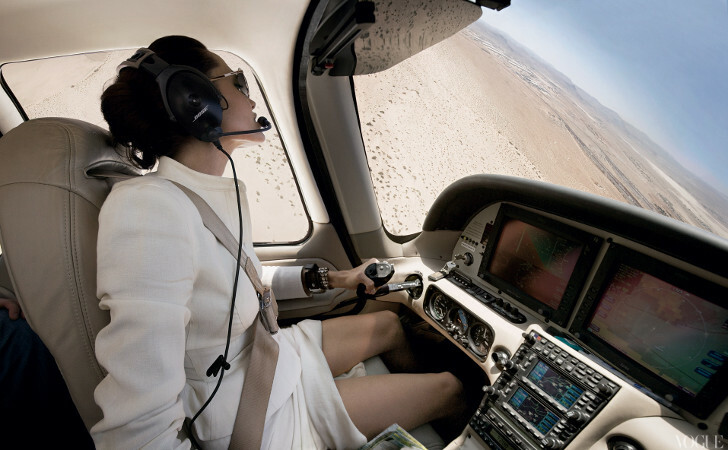 What we see her doing right here is earning her pilot license. She has a good plane for learning in and there is no doubt she’ll update when she’s ready to fly solo. 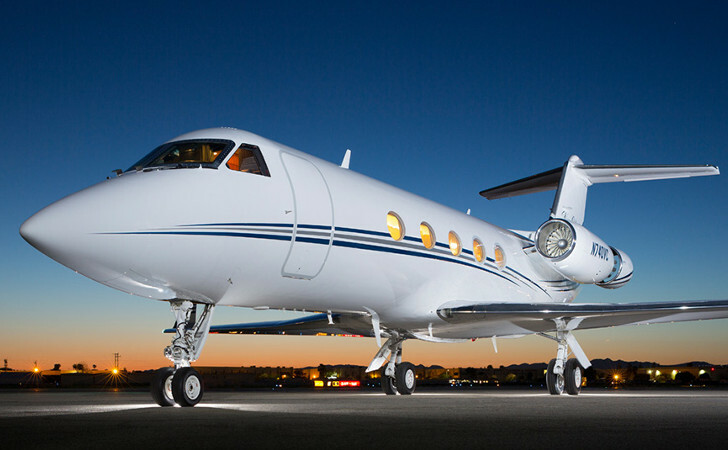 Ralph jumps all over the world in this top of the line Gulfstream 650. Ralph not only knows his designer clothing, but he knows how to live in the lap of luxury too. This $80 million jet can hit top speeds of 700 mph and go about 8600 miles. That means it can go a third of the way around the world in half a day or across the United States in about 3.5 hours. It’s been said before if you’re jetting around the world making movies, you need to have something that will get you there. Not only that but when the aliens come, he can say he has his own flying object and he would hardly be caught dead in an unidentified one. 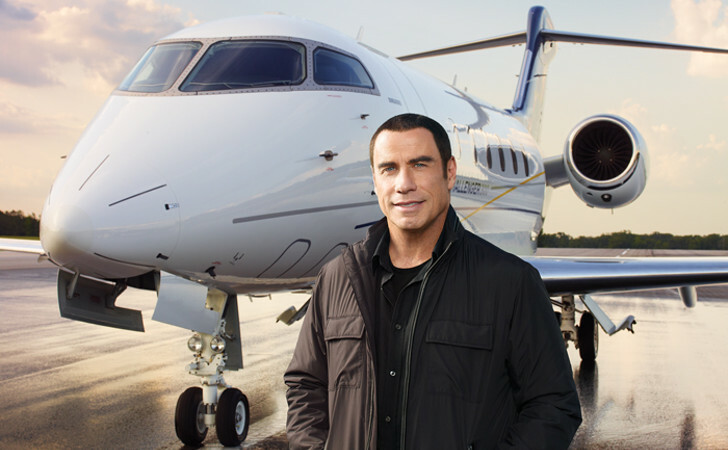 His Gulfstream IV is literally decked out to go when he wants to go. It can almost go Mach I when he absolutely, positively has to be there in a few minutes. This guy is one extravagant man. 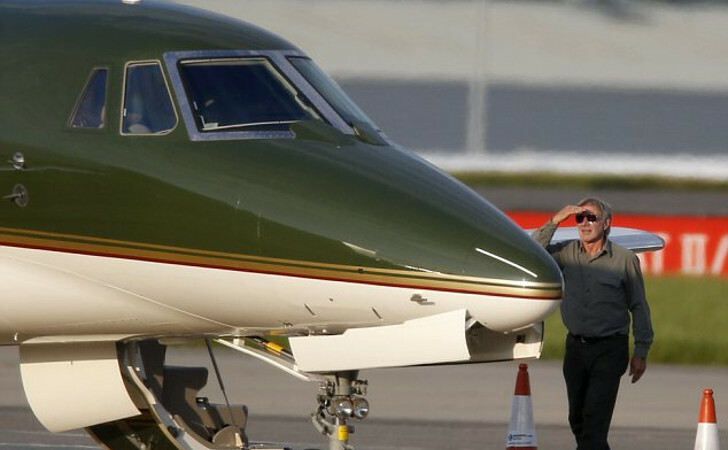 Of course, he has his own jet. He has his own island too. 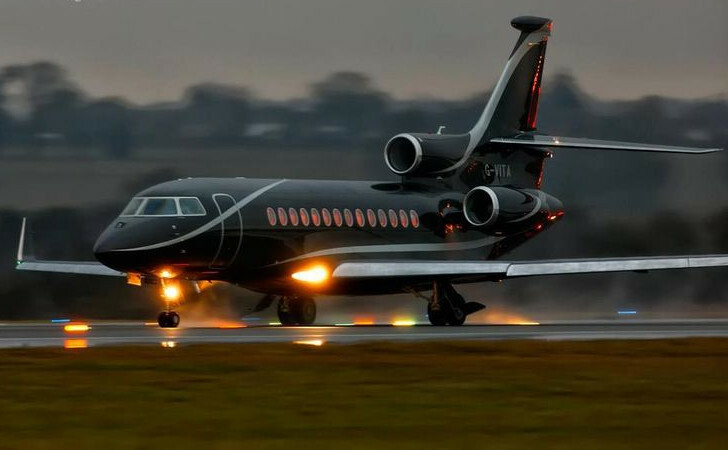 His Falcon 900EX is just about one of the most inexpensive jets on the list at $16 million. But, who cares when you have your own island and anything else you want. Harrison is the man. He actually has a pilot license and he doesn’t just own one plane. He owns a whole fleet of them. 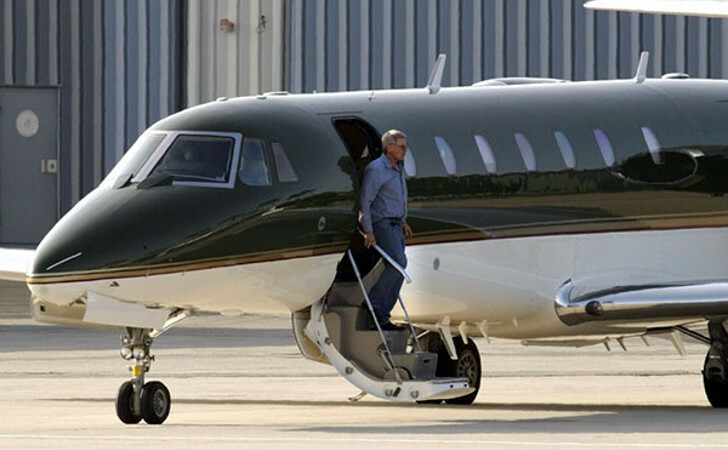 The Cessna 680 Sovereign would seem to be one of his favorites that he purchased for around $18 million. Can’t imagine what the rest of his fleet ran him. This was a phenomenal purchase. Not too many people had their own plane back in 1975. 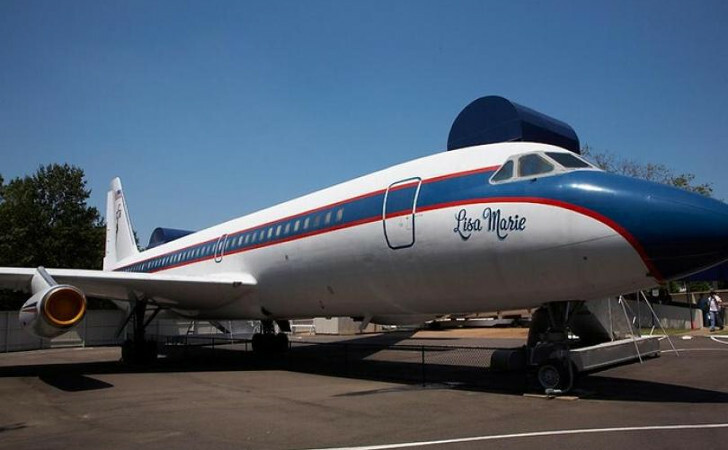 Elvis named this one after his daughter Lisa Marie and he decked it out himself completely. It was modified with several bathrooms and bedrooms. But, it wasn’t his only one. 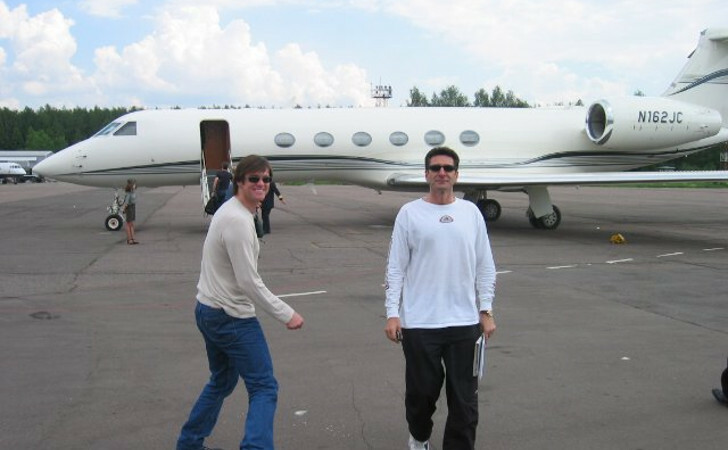 He also had the Hound Dog II for flights when he just wanted to get there fast. 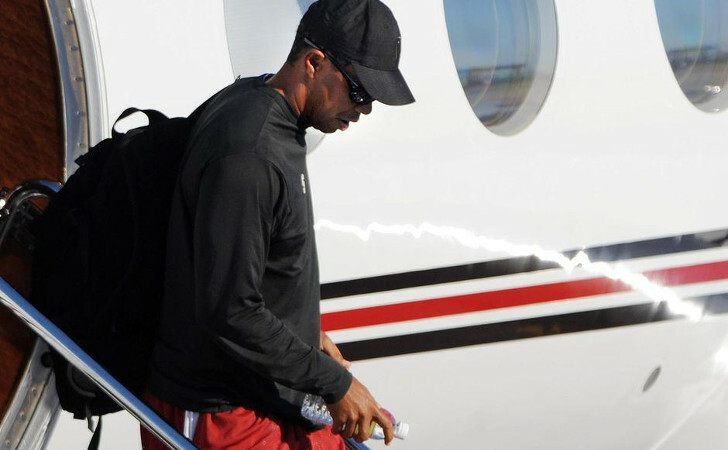 Tiger has tore up the golf game and no one can debate that even though he has had his share of shortfalls. 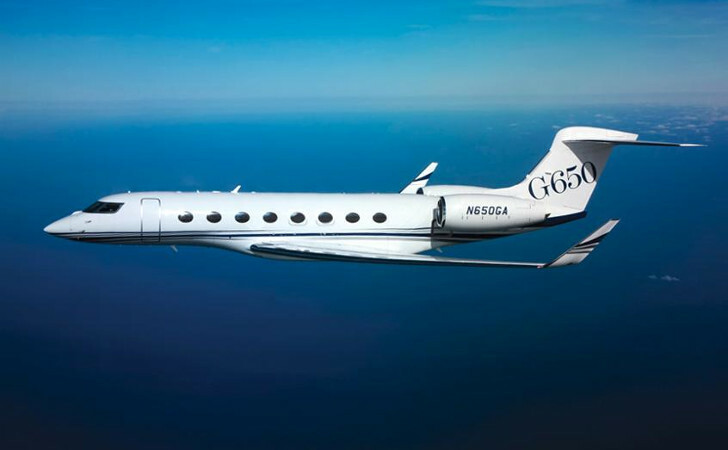 His Gulfstream 550 is how he gets from course to course while other golfers are still driving. He can jet around the world at the drop of a dime and he doesn’t have to worry about a thing. He doesn’t even have to worry about sharing it. You know, because he’s single now and all. This guy puts everyone to shame, that is if it were a competition. This Prince’s Airbus A380 can fly 800 people and take them 8,000 miles before it has to land. The Prince can literally park his Rolls Royce on the plane, which cost $150 million in modifications just to make happen. 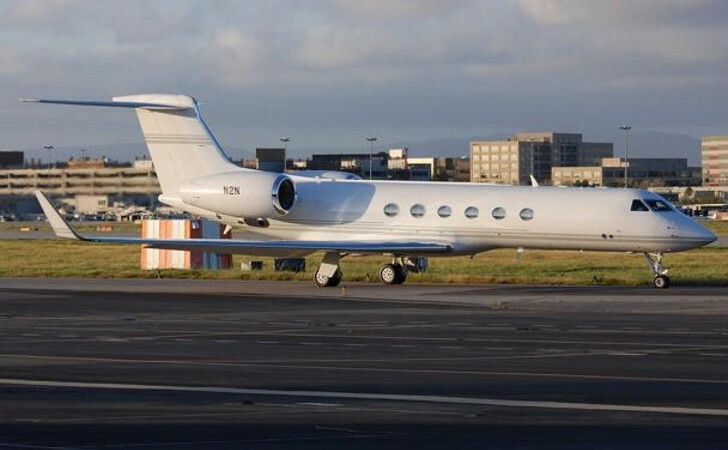 The value of this plane is about $500 million, which is staggering enough without mentioning that he also owns an Airbus 321, a Boeing 747, and other smaller planes that most millionaires would be happy to own.